Employees are not engaged at work. As millenials dominate the workforce, issues of engagement and turnover are becoming increasingly important across corporations, because decreases in engagement and increases in turnover dramatically effect the bottom line. In fact, the cost of millennial turnover is nearly $30 Billion in the US alone with 64% of all employees noting that they feel burned out either sometimes or most of the time. That’s a lot of people. So the question then becomes, not only how do companies prevent burnout and turnover, but how do the reinvest in their culture to ensure both of those outcomes are accomplished? 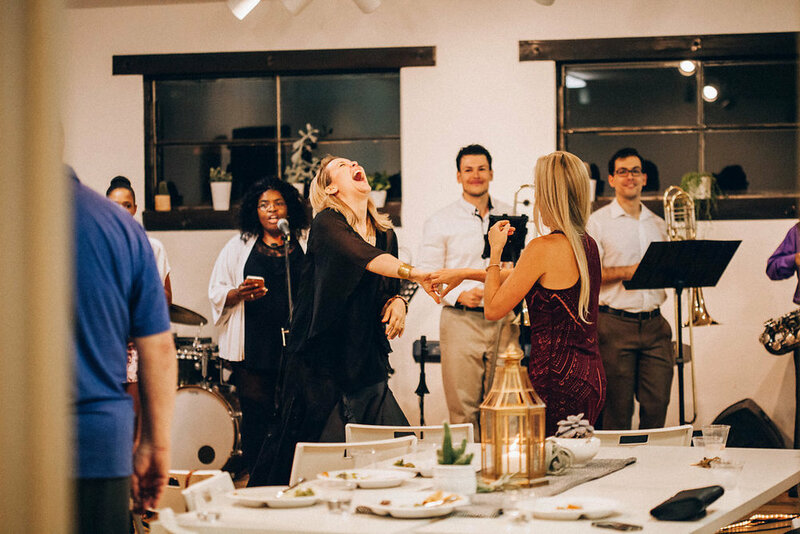 One way to accomplish a more engaging cultural environment within your organization is to host events that involve experiential elements that boost morale, honor employee’s efforts, and celebrate the year by not working (i.e. holiday parties). Here at Celebrate for Good, we happen to match this experiential component with charitable giving aspect — you can find more information about our process here. In the meantime, we have put together a list of events you can use to boost employee engagement and retention. If you need help with the rest — give us a ring! Global studies have noted that 79% of people who quit their jobs cite “lack of appreciation” as their reason for leaving (source: Forbes). How can you accomplish employee recognition via events? Any other milestones you track each year — involve your employees by being transparent about when you reach your goals (and when you don’t) so that people feel a part of the mission and goals of the company! Glamping experience in a yurt (yes a yurt). Remember that corporate retreats are spent with those you work with, but your employees don’t need to talk about work. The time you spend out of the office (not talking about the latest project you are working on) will naturally create more energy, better ideas and more focus on that project they left behind when they do return. Host a soul food soiree! Outdoor Dinner - fresh air does everyone some good! An outing in a unique local space — this is especially special for those who are new to town! 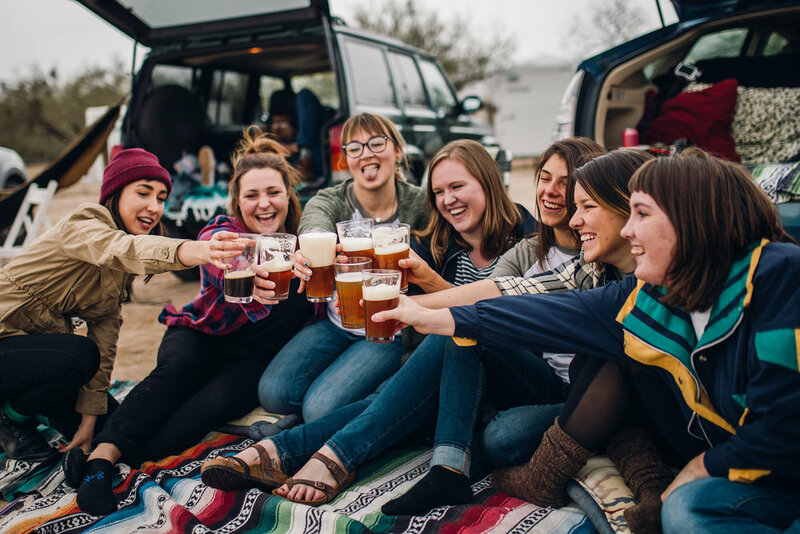 Create a pop-up dance party with snacks and local adult beverages — like Whiskey Del Bac or a Barrio Blond from Barrio Brewing. Weekend Brainstorm - Head to a place where ideas roam free (and decisions aren’t made quite yet). Stick them all on post-its and process them when you return to the company compound! A wine excursion with Rune Wines should do the trick. 11. Change up your conference dining! Host a dine-around in your destination city in multiple locations with 100 people in each group. This breaks up the group into intimate sizes and helps people to connect more! That means a better memory of your event. Here are some venue ideas! Host a large group outdoor dining experience with warm lighting and delicious local food. We love the feeling of San Xavier Mission! Older PostHow to Reuse Your Thanksgiving Decor as Client Gift Wrap!